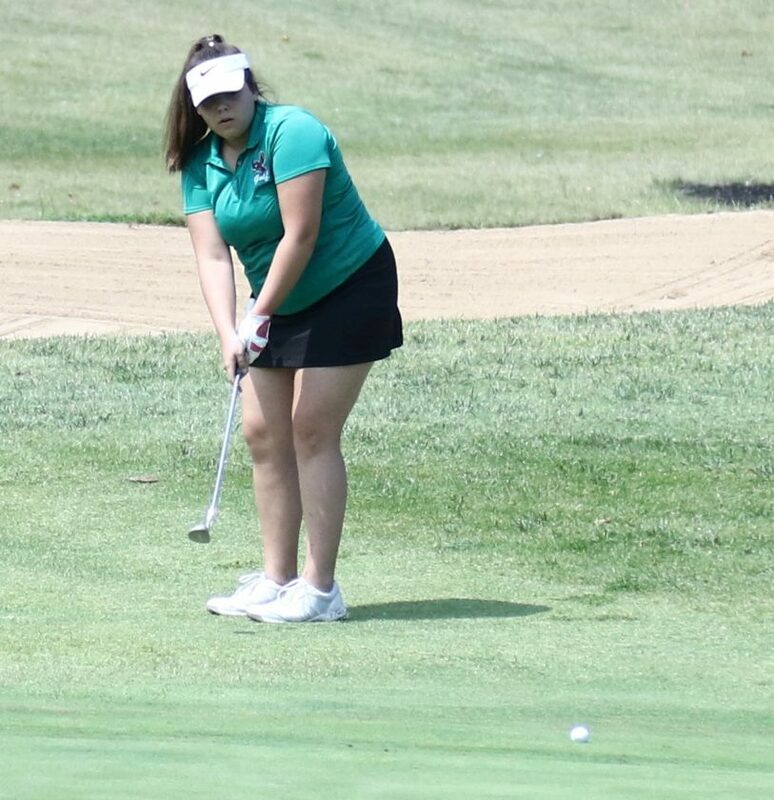 Lawrence High’s Beatrice Lopez follows through on a putt while Free State’s Kate Lawrence looks on during the Jaguar Invitational on Wednesday at Shawnee Golf & Country Club. Lopez carded a round of 95 to lead the Lions. The 2018 fall sports season officially began last week with a number of area teams in action. Free State’s volleyball team put up a good fight against the top-ranked team in the state, while the Lawrence High boys soccer team suffered a narrow defeat against a program that made it to the state tournament in 2017. The Firebirds, who are ranked No. 4 in the Kansas Volleyball Association preseason rankings, were tested in the first match of the season. Free State squared off with No. 1 Blue Valley North at the Volleyball Slam on Saturday at St. James Academy. FSHS claimed a 25-20 victory in the first set before dropping the second set (25-17) and third set (25-18) to ultimately lose the match. 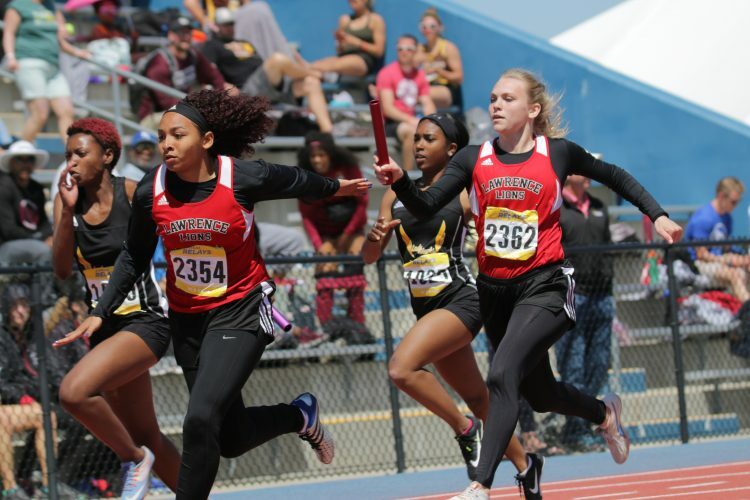 “That’s as close to a state championship test as we could ask for,” head coach Keely Hammontree said before the start of the season. Free State and BV North are GOOD! FS wins the 1st set 25-20 at the Spectrum Sports Volleyball Slam. Free State (0-1) has a home triangular Thursday, starting at 5 p.m. The Lawrence High boys soccer team also had a tough test in the opener. 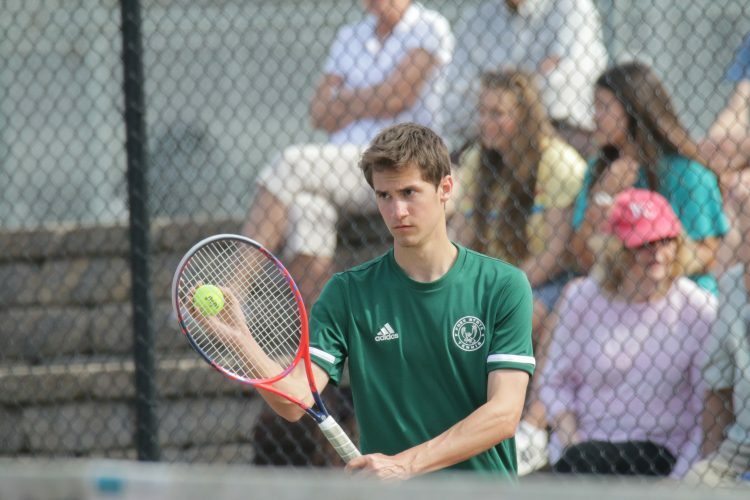 LHS faced Manhattan at home Friday for the first match of the new season. The Indians, who finished third in Class 6A last fall, recorded a 2-0 victory over Lawrence. The Lions managed four shot attempts, while their opposition took 16 shots. In 2017, the two teams recorded a 1-1 draw in the lone meeting. LHS (0-1) plays host to Topeka at 6:30 p.m. Tuesday. The Lawrence girls tennis team got off to a strong start to begin the season, winning two matches in a quadrangular on Thursday at Olathe West. 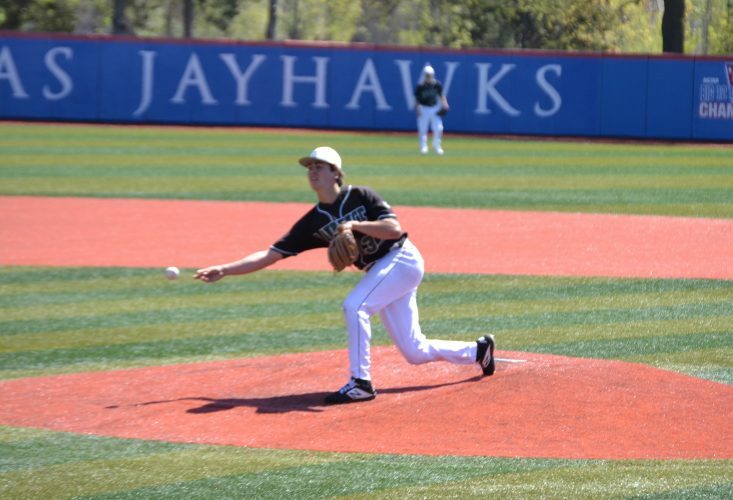 LHS tallied two 3-1 victories over Olathe West and Leavenworth, while dropping a 3-1 defeat to Shawnee Mission West. Bella Kirkwood netted two wins in her three matches. 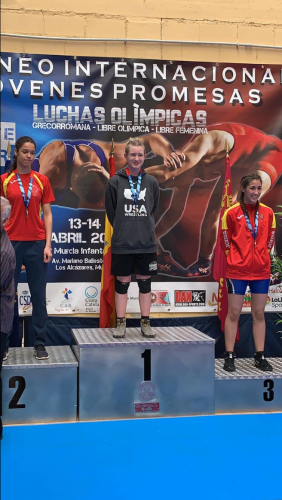 She bested Margret Collins, of Leavenworth, 8-1, and recorded an 8-6 win over Sophie Coltvet, of Shawnee Mission West. It was Kirkwood’s first tournament as the team’s No. 1 singles player after competing as the No. 2 singles player during her freshman season. Lilly Derby, the team’s No. 2 singles player, earned a pair of wins, as well. LHS returns to action at 3:30 p.m. Thursday at Leavenworth. 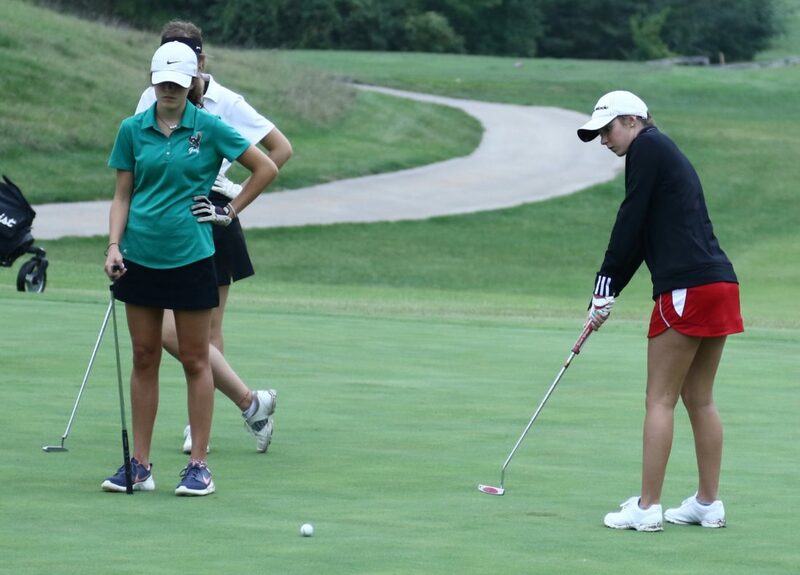 Both girls golf teams from Free State and Lawrence High kicked off the 2018-19 season with a tournament at Shawnee Golf and Country Club. 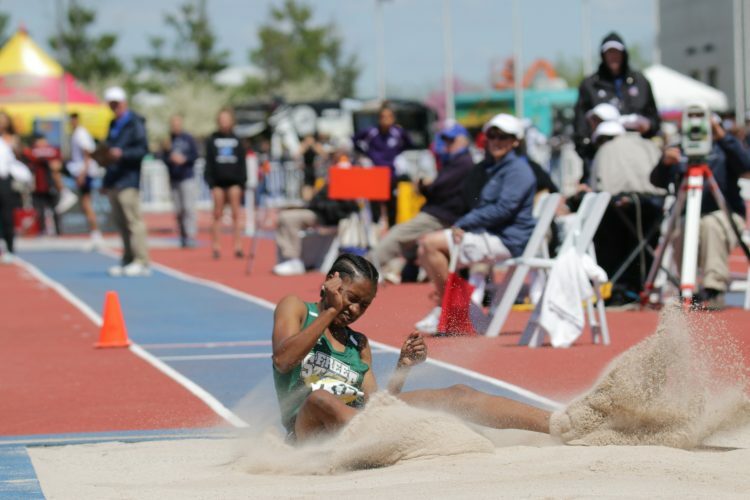 In the Jaguar Invitational, the Firebirds posted a 420 to take eighth out of 11 teams. Tyler Bane paced the team with a 97, including 48 on the front nine, to finish in 26th on the individual leaderboard. Free State’s Tyler Bane putts off the fringe during the Jaguar Invitational on Wednesday at Shawnee Golf & Country Club. Bane shot a round of 98 to pace Free State. Claire Covert carded a 104, while Kennedy Birk shot a 105. Kate Lawrence logged a 114 in her first action of the season. Both Birk and Lawrence qualified for the Class 6A state tournament as sophomores last season. Meanwhile, Lawrence finished with a 452 as a team. Beatrice Lopez, who led the Lions, shot a personal-best 95 to finish in 22nd place. It bested her previous best round of 99, which she set during her sophomore season. Olivia Wallen recorded a 109 for LHS, and Jose Abernathy tallied a 123. Ashley Dykes registered a 125. The Bishop Seabury boys soccer team dropped a thrilling match Friday to start the fall campaign. Eudora scored the game-winning goal with 17 minutes left in regulation. Sophomore forward Harrison Hatzler, junior midfielder Sam Bayless and sophomore forward Evan McHenry all scored goals for the Seahawks. McHenry, who notched 15 goals in his freshman season, actually hit the equalizer with a 25-yard cannon into the upper left corner. Bishop Seabury travels to Heritage Christian Academy at 5:15 p.m. Tuesday. Both Veritas fall programs are coming off successful seasons in 2017. 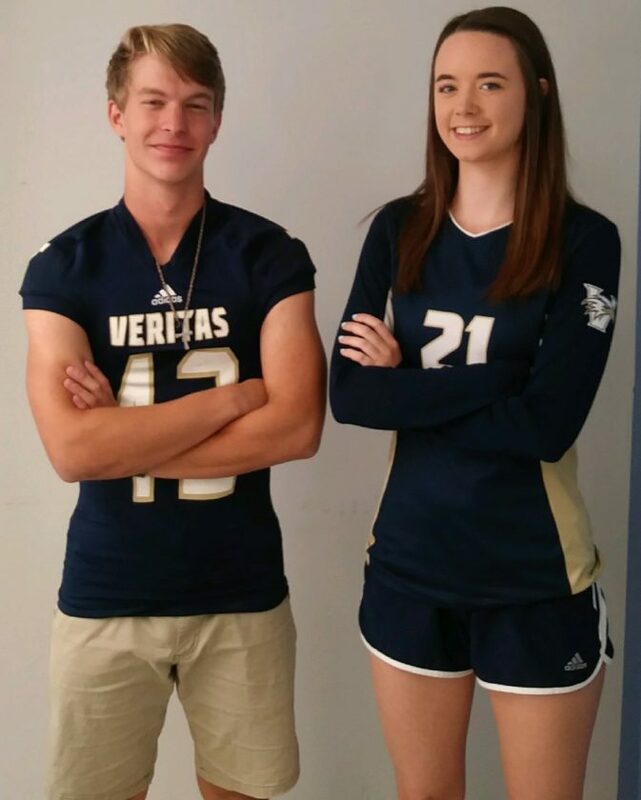 Senior Macey Hunninghake (right) and junior Andrew Windheuser (left) are two key athletes for the Veritas fall sport season in 2018. Both teams suffered a loss in the first week of the season. Yet, the volleyball and football team each started the newest campaign with a loss. The volleyball team, which won a state title in 2017, lost to Whitefield on Tuesday in three sets (25-21, 25-19, 25-23) in the first match of the year. Paige Donohoe recorded six aces and Emma Boulton notched 20 assists. Meanwhile, the football team suffered a 64-6 loss to Albany (Mo.) in the season opener after making it to the semifinals last season. Will Eagleman led the Eagles with 71 rushing yards and a touchdown. Andrew Windheuser, who had 51 rushing yards, paced the defense with 16 tackles.